BC leaders welcome Paper Excellence’s purchase of Catalyst Paper’s three remaining mills, notwithstanding its aging workforce. In other Business news: the Steelworkers start job action with an overtime ban in northern BC; softwood lumber exports are up in Europe but down in Canada; and Russia is expanding its role in China’s lumber industry. In Forestry/Climate news: an Ontario First Nation bans clear-cut logging; roadless advocates dominate Alaska hearings; Oregon loggers say wood products are part of the climate solution; US south plantation forests are causing timber prices to fall; and the loss of forests worldwide is ten-fold less [or more], depending on your data source. 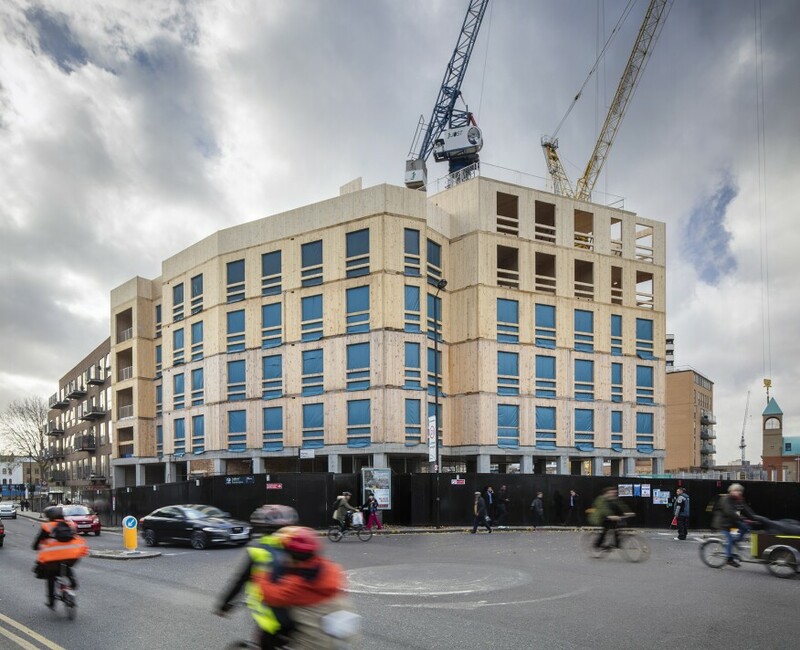 Finally, the largest cross laminated timber building in the world takes the spotlight in London. The union representing workers at 13 northern B.C. sawmills has directed its members to cease working overtime as a first step in job action after entering a legal strike position on Saturday. The United Steelworkers Local 1-2017 and Conifer, the employers’ bargaining agent for the region, are at odds over a new contract. Bargaining has reached an impasse that a mediator was unable to resolve. The sides, meanwhile, are keeping an eye on negotiations for sawmills in the southern Interior. Talks between the USW and the Interior Forest Labour Relations Association, the bargaining agent for that region are set to resume on Wednesday in Kelowna. If the IFLRA offers a similar package to Conifer’s, a strike vote will be conducted there in the coming days, Local 1-2017 officials said in a posting on their website. The strike notice issued by United Steelworkers local 1-2017 on Oct. 3 has so far not led to strike action for more than 1,500 forestry workers affected in Northern B.C. …Union president Brian O’Rourke will be attending negotiation meetings between the Interior Forest Labour Relations Association (IFLRA) and Locals 1-417, 1-423 and 1-403, all of which represent forestry workers in B.C.’s Interior. Paul French, the first vice president of USW Local 1-2017, said they are hopeful talks in the south can end up in positive news for the north. …“We are going to give the south a try. As of right now we are in a legal position to strike, but we have not called a strike.” Both the southern Interior and Northern B.C. agreements expired June 30, 2018. Catalyst Paper, which owns the Crofton pulp and paper mill, has been sold to Paper Excellence Canada. 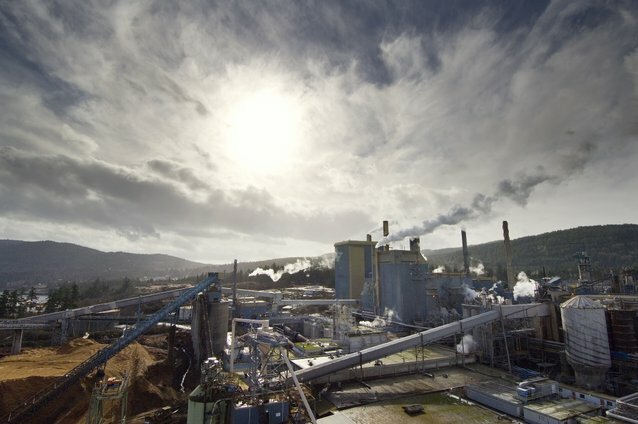 Paper Excellence is a BC-headquartered company with close to two million tonnes of pulp production capacity through five operating mills in Canada and two mills in France. …How much Catalyst was sold for has yet to be released. A press release from Catalyst states that the sale takes in all of its assets, including its three mills on the Island. Catalyst employs about 1,500 forestry workers, including about 570 at the Crofton mill, as well as at its other two mills in Port Alberni and Powell River. Catalyst also generates more than $2 billion in annual economic activity in B.C. …PEC will also assume all Catalyst’s obligations to its employees, including pension plans, as part of the deal. …“Paper Excellence is evolving into a major player within Canada’s forest industry,” said Brian Baarda, Paper Excellence’s CEO. VANCOUVER—Political and labour leaders are optimistic that the purchase of a B.C. pulp and paper giant. …B.C. Jobs, Training and Technology Minister Bruce Ralston said the purchase of Catalyst paper secures 1,500 direct jobs in the province. …Banks are currently the largest shareholders in Catalyst, which Rumley said left some workers concerned the mills may be closed. …Yet the exchange won’t do anything to solve another serious problem facing the workplaces. 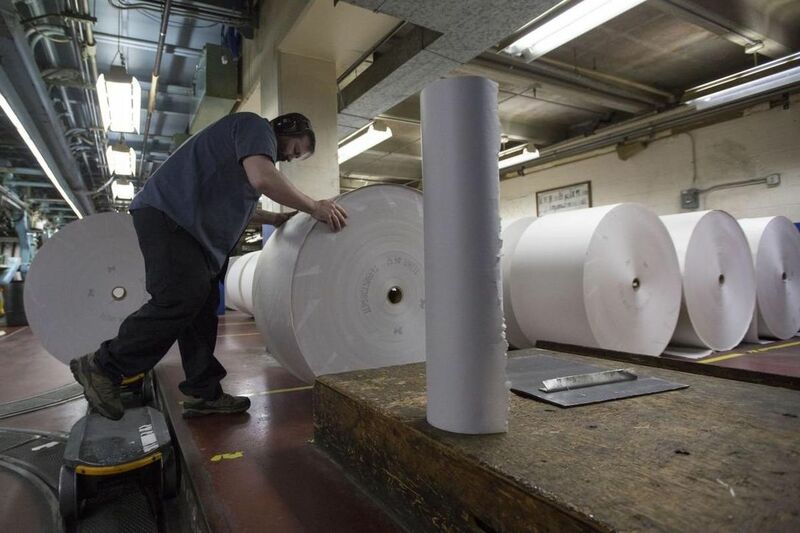 With the sales of newsprint — Catalyst’s main product — in decline over the last several decades, the company had a long hiring hiatus between the 1970s and more recent years. …The result is that experienced workers at the mills are retiring in droves, and there is an urgent need to quickly hire and train a new generation of workers. RICHMOND, BC – Paper Excellence Canada is today announcing it has entered into an agreement to acquire Catalyst Paper Corporation, including its three facilities located in Crofton, Port Alberni and Powell River, its Surrey distribution centre and headquarters in Richmond, BC. This agreement is subject to regulatory review and approvals. Catalyst Paper manufactures 1.3 million tonnes of pulp and paper products. These products include industrial packaging, food service, coated ground-wood, newsprint and directory papers. Customers include retailers, publishers and commercial printers in North America, Latin America, the Pacific Rim and Europe. …”For months we’ve been working hard to secure the 1,500 jobs and pensions of Catalyst workers in Crofton, Port Alberni, and Powell River. Today’s announcement by Paper Excellence is another welcome vote of confidence in B.C. and most of all – the people who add value to our natural forest resources,” said B.C. Premier John Horgan. The company said the jobs will be professional and administrative roles. Rayonier Advanced Materials said Tuesday it will create 79 positions at its Downtown headquarters by 2022, following its acquisition in late 2017 of Canadian forest products company Tembec. The company said the jobs will be professional and administrative roles to support its international operations and will average $69,520 annually. A news release said the Tembec purchase almost doubled Rayonier Advanced Material’s size to more than $2 billion in annual revenue and added more than15 operating plants in Canada and Europe. Rayonier Advanced Materials, a specialty chemical company, went public in 2014. Exports of softwood lumber from Russia, Germany and the Nordic countries have increased due to high demand for wood in Asia and Europe in early 2018, while Canadian exports fell to the lowest levels in five years, reports the Wood Resource Quarterly (WRQ). WRQ says 2018 may be another record year, with six of the ten largest lumber-exporting countries in the world increasing their shipments this year, with exports from Russia, Germany, Ukraine and Austria increasing the most year-over-year. The biggest decline in exports year-on-year has been from Canada, with shipments in 2018 on pace to be the lowest in five years. …From 2016 to 2017, lumber exports from Finland increased 8.7%. …The annual export volume of softwood lumber from Sweden in 2017 was 13 million m3, practically unchanged from 2016, and the pattern held true in early 2018 (year-over-year). Deep-dive study on the complex flow of logs and lumber within China reveals that considerable volumes are being ‘re-exported’ to other regions from the first port of entry. One of the main themes observed from the extensive field work carried out all over China is the increased and expanding role of Russian lumber in China. Significant and ongoing investments in a combination of modern sawmills, kilns and planers at Russian mills in Russia, Chinese mills in Russia, and Chinese mills on the Chinese side of the border have increased the value of lumber where it can be transported further in China. A growing number of Chinese distributors and processing companies are tapping into the expanding supply chain from Russia to access Russian spruce and red pine lumber. This is becoming more evident in the furniture sector as production improvements are made (at the expense of other exporters) to the quality and competitiveness of Russian spruce and pine lumber. As well, various Chinese government policies tend to favour Russian exporters over other suppliers to China. DALLAS — A construction worker is dead and five co-workers are hospitalized with injuries after a three-story town house they were building in Dallas collapsed during a thunderstorm. The collapse happened about 4 p.m. Monday about a mile (1.6 kilometers) west of the city’s downtown. Dallas Fire-Rescue spokesman Jason Evans says 20 to 30 people were working in and around the wood-frame structure when it collapsed, trapping six workers. One worker died at the scene, while five others were taken to hospitals. Evans says their injuries did not appear to be life-threatening. The cause of the collapse remains under investigation. However, the National Weather Service reported wind gusts exceeding 60 mph (97 kph) and a rainfall rate of 4 inches (101 millimeters) per hour in the vicinity. Waugh Thistleton Architects isn’t particularly interested in conjuring timber skyscrapers or extolling wood’s expressive qualities. In fact… its latest timber project gives little hint that it is the largest cross-laminated timber building in the world. Like Murray Grove, the 155,000-square-foot Dalston Works is located in the London borough of Hackney, which instituted a “timberfirst” policy for new construction in 2012. The latter project comprises several building volumes ranging from five to 10 stories tall that provide 121 units of housing along with office, restaurant, and retail space. Except for the building’s concrete podium, the structure is built entirely of CLT, from the floors to the walls to the elevator cores. As a result, Dalston Works weighs just one-fifth of its hypothetical concrete counterpart, an important trait given its location atop a potential Crossrail 2 station. It has been a prolific year for death cap mushrooms in Greater Victoria… As awareness of death cap mushrooms grows, there is an increase in the numbers being observed and reported. …Scientifically known as Amanita phalloides, death cap mushrooms are part of a fungus family thought to be responsible for about 95 per cent of mushroom deaths. The B.C. Centre for Disease Control issued a warning about their proliferation after recent wet conditions triggered more calls to the Centre. …Mycologists Adolf and Oluna Ceska, who also note that this year is particularly flush with death caps, warn that international students may be at higher risk as well. …Death cap mushrooms can look similar to Asian paddy straw mushrooms. …Death cap mushrooms are not native to B.C. They are believed to have been introduced into the environment in the roots of imported hardwood trees. It was fall but it felt like spring, especially inside a set of greenhouses at College Boreal, where tree seedlings and decorative plants unfurled their fragrant needles and leaves. There were also trays holding hundreds of acorns, freshly harvested from parks in Sudbury, that will germinate in coming weeks and become tiny red oaks over the course of the winter. The home to all this horticultural – and silvicultural – activity is Boreal’s Applied Research Centre for Biodiversity, which was officially opened Tuesday after a series of significant upgrades. The agriculture and forestry programs at the school were already making use of a greenhouse, but that facility has been improved and another, high-tech greenhouse has been built alongside it. The centre additionally boasts a classroom, warehouse, drive-in freezer and open-air garden. 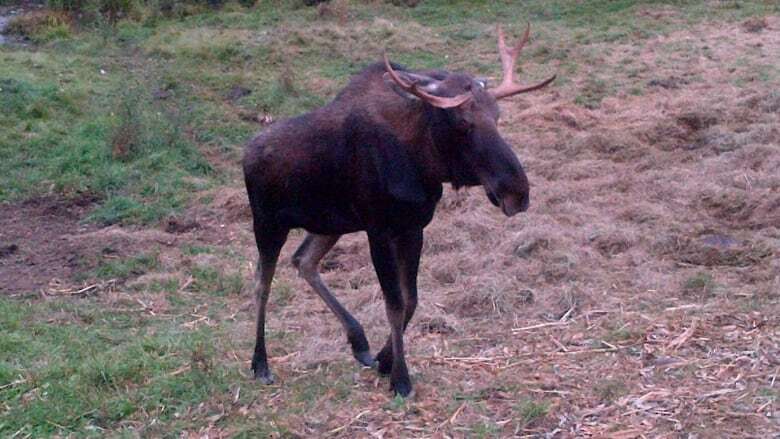 While concerns are being raised about the prospect of logging in forests known to be habitat for the endangered mainland moose, Nova Scotia’s Lands and Forestry minister says consideration for the animal is built into any harvest plan. 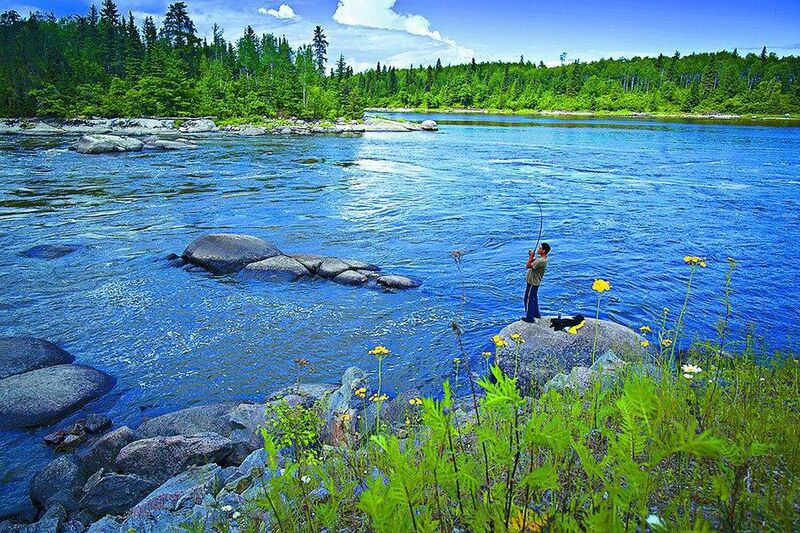 The provincial harvest plans map currently lists 114.34 hectares of land along or near Upper Porcupine and Lower Porcupine lakes in Queens County, an area that’s part of the Tobeatic Wildlife Management Area. About 40 hectares have been recommended for clear cut, with the rest a combination of partial harvest and individual tree selection. Bob Bancroft, a retired biologist, said the area in question is isolated, and while it’s not good moose habitat by definition, it’s become attractive to them because of that isolation and lack of predatory threats. SYDNEY, N.S. — Much of the commentary about the Lahey report has been correct… However, the report falls short with some very significant gaps, errors, and wrong recommendations… 1) The ‘Review’ decided not to address the regulation of forestry practices on private land, with the exception of stream buffers… 2) The report fails to address the fact that large industrial landowners and forest companies on Crown land control at least 45 to 75 per cent of forest lands in Nova Scotia. …3) It ignores …the biomass issue. …4) It calls for a return to herbicide spraying on Crown lands. …We need non-clear cut forest cutting regulations to reign in large industrial forestry on private and Crown land. We need regulations to ensure that small private landowners benefit from changes in forestry practices, and are regulated to be non- clear-cut forestry. We need to shut down the large industrial polluting biomass plants, and ensure that all forestry is done without herbicide spraying. CUSTER, S.D. – For nearly 20 years, the mountain pine beetle infestation slowing ate its way through the Black Hills. More than 400,000 acres of private and public land were affected. The infestation cost millions of dollars and changed the look of the forest. Some thought it would never end, but it finally did. What has been learned? …”when the thing first started, we had a very different forest. …Basically we had a forest full of very suitable hosts and food for the beetles,” said Kurt Allen, entomologist with the Forest Service. Pine beetles are native to the western forests and they had been appearing from time to time for over a century. But this time it was different. …Scientists now know that pine beetle invasions are part of the natural cycles that maintain a balance in woods. …”It will return again at some point in the future,” said Allen. Governor Bill Walker’s advisory panel tasked with recommending ways to relax the U.S. Forest Service’s roadless rule is taking public comment across Southeast Alaska. At a recent hearing in Juneau, most people supported keeping the roadless rule intact in the Tongass National Forest. Gov. 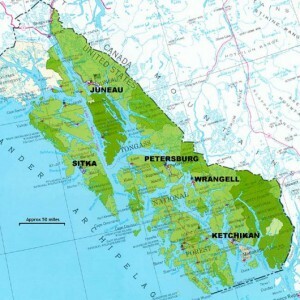 Bill Walker appointed the 12-member advisory committee to make recommendations to the state on where roads could be built inside 7.4-million acres of roadless areas in the Tongass National Forest. …The panel doesn’t have much time to deliberate. It’s charged with crafting an Alaska-specific rule that would keep some areas roadless while accommodating areas for road building and development –principally logging – before the end of November. Timber farmers in the southern U.S. are struggling to make a profit harvesting stands of trees planted decades earlier when market prices were significantly higher, The Wall Street Journal reports. The southern U.S. is rich with pines and hardwood, but sawmills that can process the raw timber are relatively scarce. The market price of southern pine has fallen 45 percent since 2007, and the price of saw-timber – used for lumber – is at a five-decade low, Auburn University forestry economics professor Daowei Zhang told WSJ. Roughly 10 million people in the South own plots of forested land. Decades ago, buying a plot of land and seeding it with trees was a popular alternative to investing in stock or funding a retirement account. A key finding of the Intergovernmental Panel on Climate Change’s (IPCC) new special report is that it is likely that some degree of “afforestation” will be needed to limit global warming to 1.5C above pre-industrial levels. Afforestation is a process where new forests are planted across land without trees. As a forest grows, it naturally removes CO2 from the atmosphere and stores it in its trees. 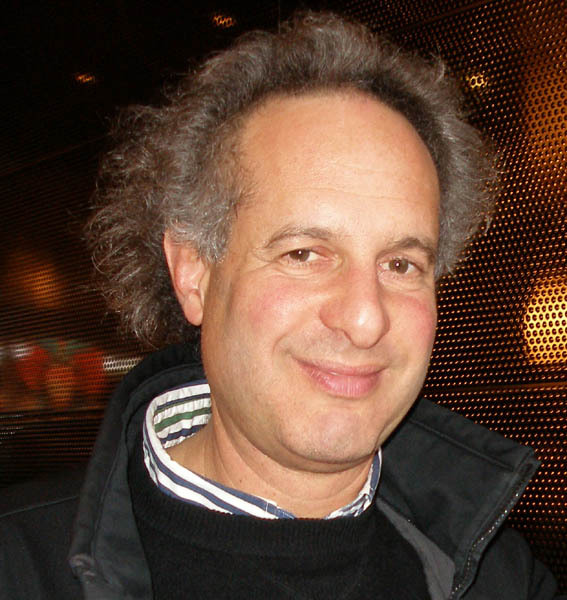 The technique has been described as one of the most “natural” and technologically simple of the “negative emissions technologies” (NETs) – a term describing a group of methods that aim to remove CO2 from the atmosphere. However, others have raised concerns that afforestation could be costly, difficult to manage and could take up large amounts of land. Some point out that many regions are still grappling with deforestation and may not be able to protect new forests from destruction. A non-profit Berlin tech startup has offered to buy the remaining 200 hectares of an ancient German forest to save it from being destroyed for coal surface mining. Ecosia, a search engine which donates the majority of its advertising revenue to conservation initiatives and funded the planting of almost 40m trees across the world, has approached the energy firm RWE with an offer of €1m (£877,000) to secure the final stretch of the 12,000-year-old Hambach forest in the western state of North Rhine-Westphalia. “We think that a fair reconciliation of interests can be found between RWE and the people, and with our commitment to buy the remaining stretch, are pursuing the ecological and societal interests of those who have committed themselves to protecting the forest and dedicated themselves to nature conservation,” Christian Kroll, Ecosia’s CEO, wrote to the head of RWE, Rolf Martin Schmitz. Ecosia’s offer was unsolicited. BERLIN — When 50,000 protesters headed to the ancient Hambach Forest west of Germany’s Cologne city last weekend, interest was so great that traffic on one of the country’s high-speed autobahns came to a standstill. While traffic jams aren’t normally something to celebrate, in this case the planned protest turned into a party after it was announced that a court had just temporarily blocked one of Europe’s powerful energy companies, RWE, from continuing to clear away one of Germany’s oldest forests to make space for a coal mine. The rescue of the forest’s thousand-year-old trees was celebrated as a rare victory by environmental activists over European governments. …While support in European election campaigns this year for environmental parties has been on the rise from Sweden to Germany, it appears that there is another group forcing the governments to obey their own laws: judges. TimberWest announced today that it is committed to pursuing carbon neutrality over the next 10 years and has taken the first significant step in the process by measuring a total carbon footprint going beyond just its operations to incorporate supply chain energy use, forest carbon and its distribution network. Working with KPMG as an advisor and PwC and the Carbon Trust as independent verifiers, TimberWest conducted a carbon accounting of its owned forest assets and activities starting with the organic matter on the forest floor, to the trees and resultant wood products, including TimberWest’s associated operational activities. This approach is believed to be a first-of-its-kind for a forest company to understand its end-to-end impact with respect to climate change. In Ernie Niemi’s Sept. 20 Op-Ed (Timber is Oregon’s Coal), he attempts to draw obtuse similarities between mining and burning coal for energy and harvesting and manufacturing wood products. I’ll agree with Mr. Niemi on one point: that the coal and timber industry both provide important economic value … and both products contain carbon. In contrast, forestry and wood products are part of the solution to our changing climate conditions. When timber is harvested and turned into wood products, the carbon stored in the wood as the tree grew stays locked away for the life of that wood product. …And in Oregon, the Forest Practices Act requires that harvested areas be replanted within two years, typically replacing one harvested tree with four new seedlings. Because of this …state’s human-caused carbon emissions. As far as I know, you can’t replant coal. The world is losing trees faster than ever. An area the size of Italy disappeared last year. Or did it? 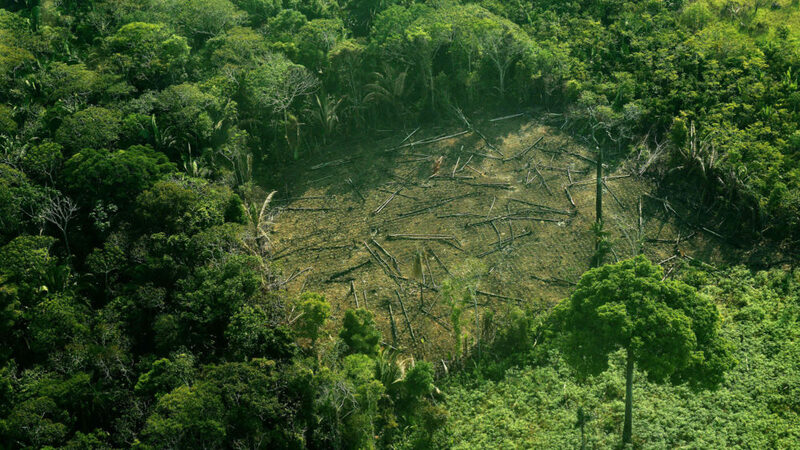 New research suggests three-quarters of those lost forests may already be regrowing. That hardly means we are out of the woods. Fighting climate change and protecting biodiversity still needs a global campaign to reforest the planet. But it does suggest that, given the chance, nature will do much of the work. …But behind the challenging words lies a yawning data gap. For we still know remarkably little for sure about the true extent of deforestation… There are two main data sources for tree loss, and they are increasingly contradictory. One, the Global Forest Watch, is compiled from satellite images by the World Resources Institute… It paints a gloomy picture… The Global Forest Resources Assessment (FRA), which is compiled from government inventories by the Rome-based UN Food and Agriculture Organization, is less bleak. The Council today adopted conclusions on climate change which emphasise the unprecedented urgency which is needed to step up global efforts to avoid the dangerous effects of climate change. Climate change is happening and its effects are being felt all over the world. Environment ministers are sending a strong political signal in these conclusions, which constitute the basis for the EU’s position at the forthcoming COP24 climate conference in Katowice, Poland, in December. “Today we have underlined again that the EU will continue to lead the way in global action on climate action. The EU needs to play a crucial role in this important issue. Today’s conclusions give us a robust and consistent position for COP24,” said Elisabeth Köstinger, Austrian federal minister of sustainability and tourism. …The EU is committed to the Paris Agreement and is implementing ambitious policies.